When you’re expecting your second baby, you’ve learned a lot from your first time around. What worked for you, what didn’t work for you, what you didn’t need, and what you wish you had had. People without kids keep making comments to me about how nice it must be to not need anything for this baby. Unfortunately, that’s not the case. First off – having a boy instead of a girl means that we are going to need a lot more blue around here! Thankfully most of the big products we used with Maddie Grace either can be reused, but there are several that we can’t or we are choosing not to re-use, and there are some products we didn’t have with her that we would love to in order to make life a little easier. Plus there are a couple things you’re going to need with a second baby that aren’t as necessary with the first, especially if you are having kids relatively in the same time period. I stopped in at buybuy BABY to set up a baby registry for our sweet baby boy on the way. The employees there are very skilled, and even have a checklist specifically for registering for your second baby. The employee who helped me at my buybuy BABY, Leah, had four kids of her own so she definitely knew what she was talking about and walked me through the entire process. 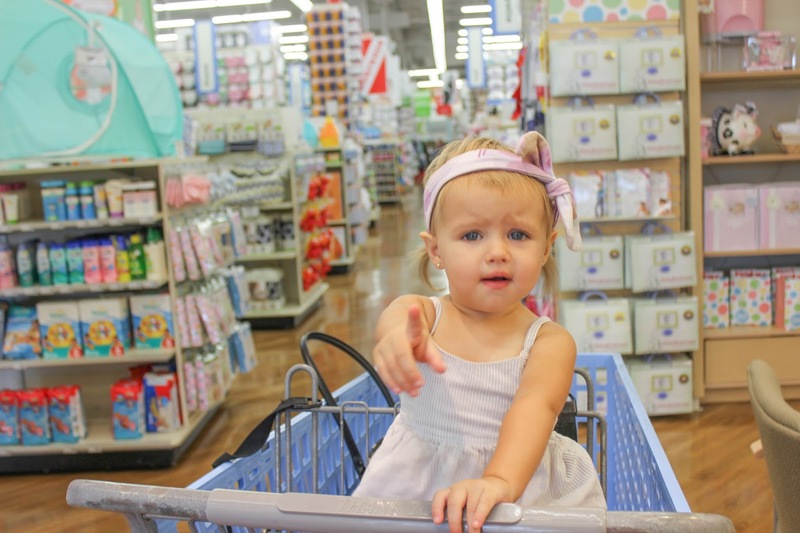 I never felt rushed, or like I was annoying her – she encouraged me to ask as many questions as possible and seemed to actually enjoy my crazy toddler who was running around the store the entire time. Tip? Bring lots of snacks for your older child while registering. This will help keep them from being too crazy… hopefully. So what are the key items to keep in mind when registering for a second baby? –Double Stroller: For us, the double stroller situation isn’t as complicated. We have a Baby Jogger City Select which transitions into a double in-line stroller with the second seat kit, so of course that’s necessary to have on our registry. We are also avid runners, especially my husband. The only way for us to take family runs/walks is to have a double jogging stroller as well. Of course my husband wants the one that is actually best for running, so this is what I really focused on when I looked at jogging strollers for our registry. 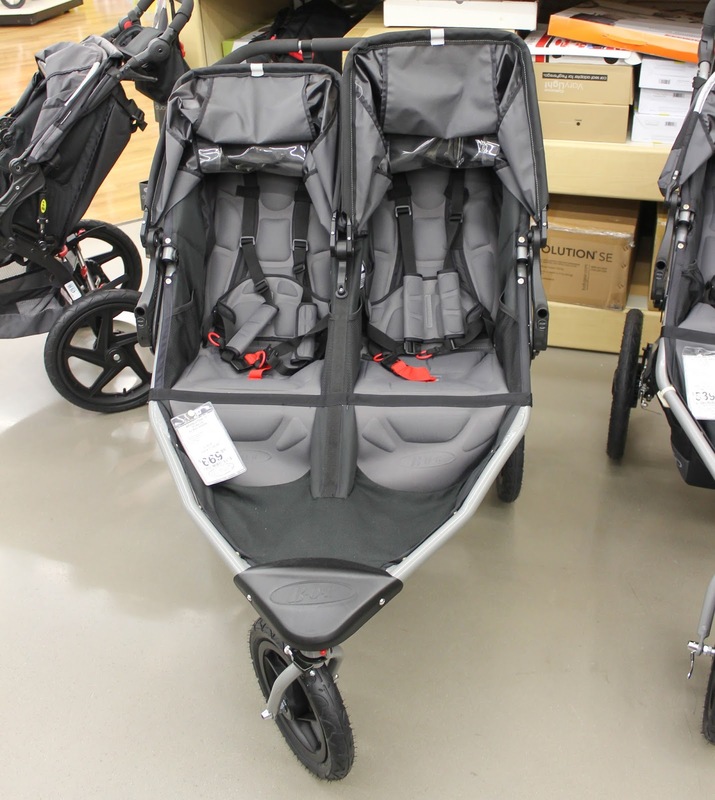 After going back and forth on several different double jogging strollers I’ve decided on the Bob Revolution FLEX Duallie Double Stroller, which is basically the wider version of the jogging stroller we have now. It’s also good to keep in mind when registering that you’ll need different accessories for a double stroller so add those on your list! –Carrier: I know with all the chasing after Maddie Grace I do I am going to be wearing Maddie Grace a lot. It’s the only way I’m going to survive this I’m pretty sure. I loved babywearing with Maddie Grace. I plan on reusing a soft wrap I had with her with the new baby when he is an itty bitty. With Maddie Grace that wasn’t comfortable for more than a couple months though, and I didn’t like the other soft structured carrier carrier we used last time. 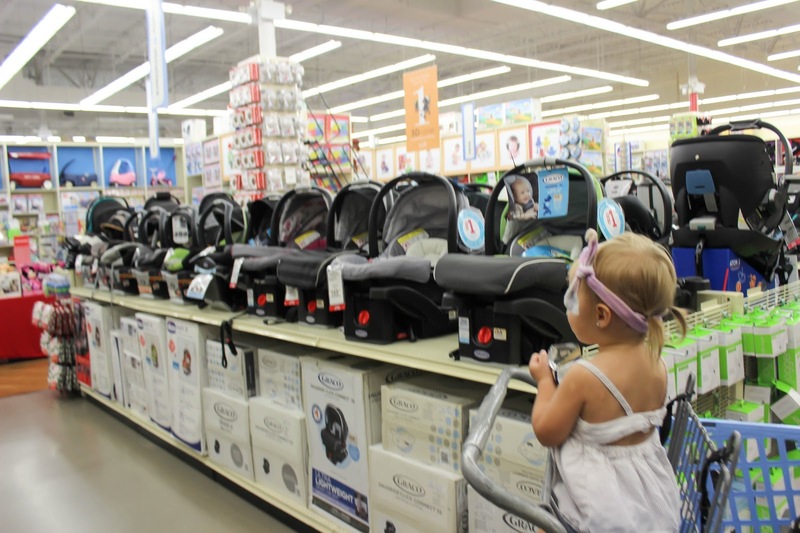 It seems like everyone I know recommends a different carrier, so I was really happy that at Buy Buy Baby I could try them all on with Maddie Grace and figure out which one worked best for me. I really loved the design of the Boba Air and how it can be easily thrown into a diaper bag, which is unique for structured baby carriers. 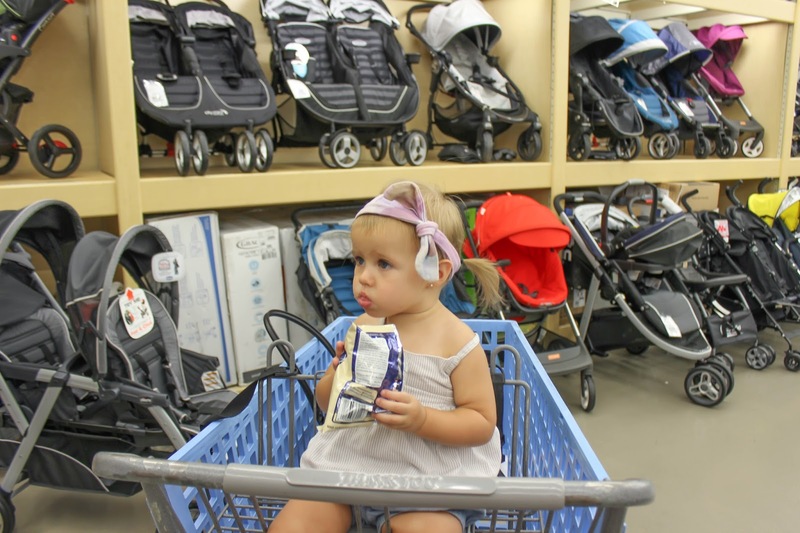 –Car Seat: Of course we had a car seat with Maddie Grace. But did you know they expire? Quickly? Also I’ve learned a lot about car seat safety since having Maddie Grace and know now that there are no excuses for not giving my child the absolute safest car seat that exists. There are a lot of debates on which car seat earns this award, and to be honest there’s several that probably are all equally safe. 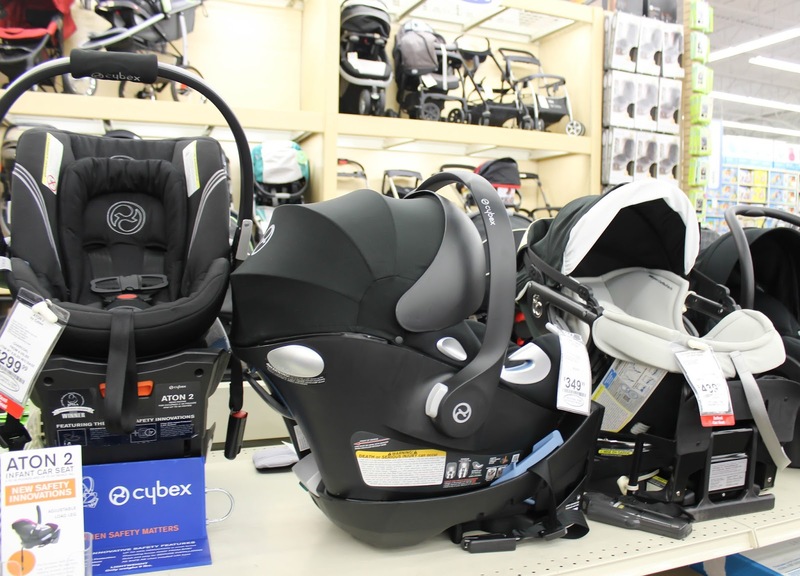 Leah at Buy Buy Baby was great at explaining the safety features of the different car seats to me, which led me to ultimately decide on the Cybex Aton Q as our next car seat! Leah also reminded me that we will want extra car mirrors since we will have 2 rear facing little ones at once so those made my list as well. –Nursery: We are hoping to transition Maddie Grace into a toddler bed by the time of baby brother’s arrival, or while he is still in the bassinet, so we skipped over registering for another crib or mattress. We will also be reusing the bassinet we used with Maddie Grace so I didn’t register for those items. Some mamas on their second baby are going to need another crib, or crib mattress, so don’t leave these items out. Since we are having a boy we will be redoing the nursery and I’m going with a nautical theme this time around. I found the cutest sheets and matching nursery items, including a nautical mobile. I also remembered to add boy-colored swaddles which were lifesavers for us with Maddie Grace. 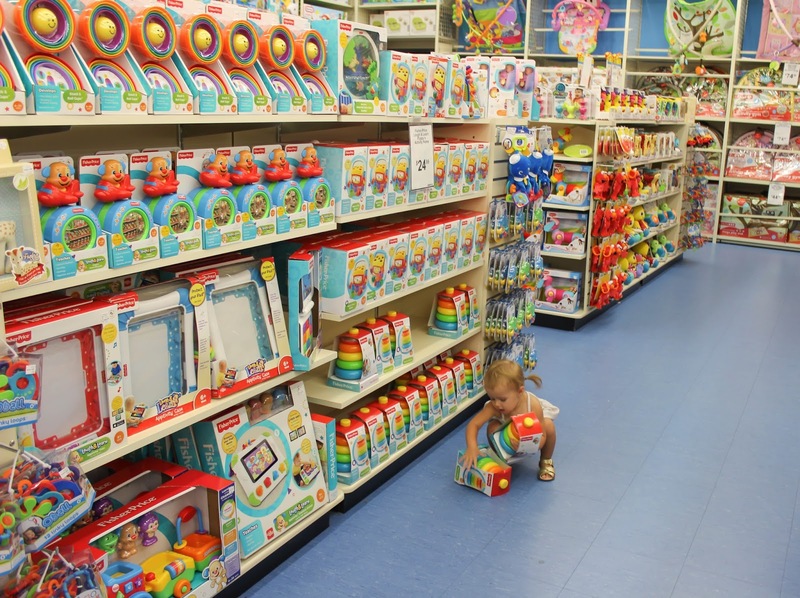 –Travel: Depending on how close in age your children are you very well may need two playards so if you know you are in this category make sure you have it on your registry. This is another area that we are going to play by ear because we have no idea whether we will need two or be fine with one yet. –Feeding: Two under two means you might need two high chairs and you should consider registering for one. By the time baby #2 is in a high chair Maddie Grace will most likely be transitioning to a booster seat so we are going to play this one by ear and left it off our registry. You also may consider more bottles, a different color nursing pillow cover, and whether you need any breast pump supplies for your new bundle of joy. Know you’ll be using formula? That’s another thing that you can always stock up on and have on your registry! –Bathtime: One thing that I didn’t think about until walking around Buy Buy Baby was that all of our hooded baby towels and washcloths are pink and girly. These make great shower and new baby presents so I made sure to add a few onto our registry. 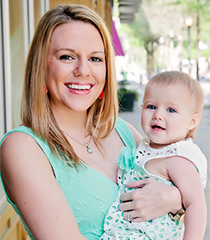 –Diaper Bag: A new baby is the perfect excuse for a new diaper bag! Usually by the time you are having another baby your first diaper bag has been over-used and run down. 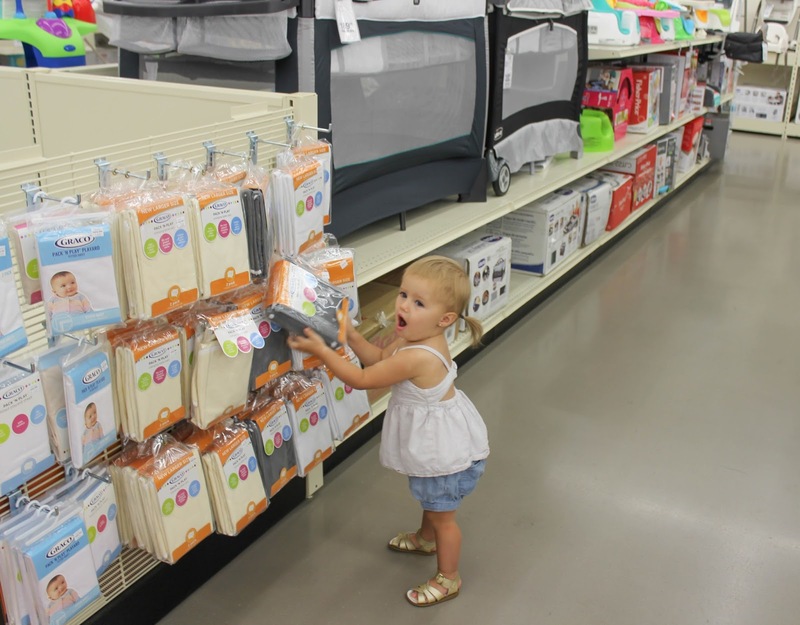 Add a cute new one to your registry as it is something you are sure to use a lot! enough of with a newborn! Do you need to register for a second (or first, third, fourth, etc.) baby? 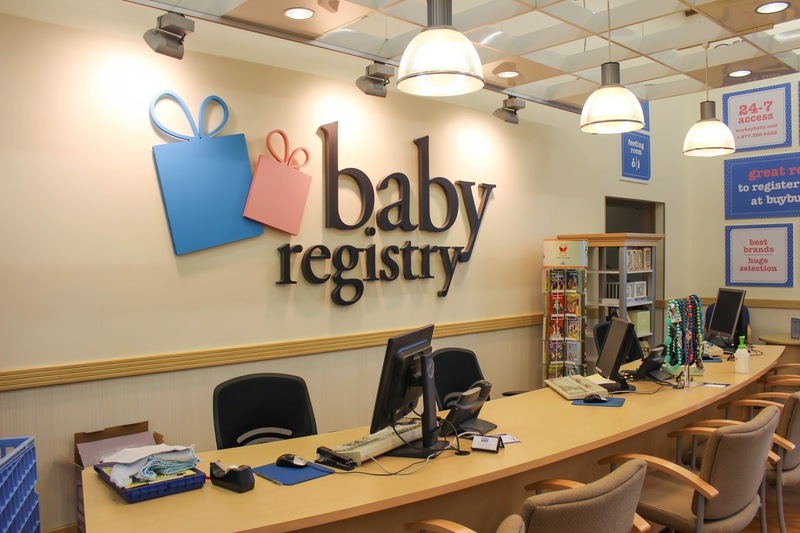 I highly recommend calling your local buybuy BABY and making an appointment with a registry specialist. They will walk you through all the different products and options and you’ll leave with a nice goody bag. I’d love to hear your thoughts and whether I left anything out below! This is great! I definitely registered and bought different things this time then I did the first time around! This is wonderful for second time mamas to reference! What great tips! I've always wondered if I even needed to register for my second baby (when we decide to have one! ), but all of this sounds great, things I didn't even think about! congratulations on baby #2! Seriously Bye Bye Baby looks amazing!! I wish we had one closer! I have heard such great things about the City Select! I might have to look into it when the time comes! Thanks for the tips. You seem to have just about everything covered. I had a boy first, then a girl so I understand what you mean about not being able to reuse everything! That double stroller is awesome.. and you'll need one with two babes under 2!! I hope you get all that you want!! 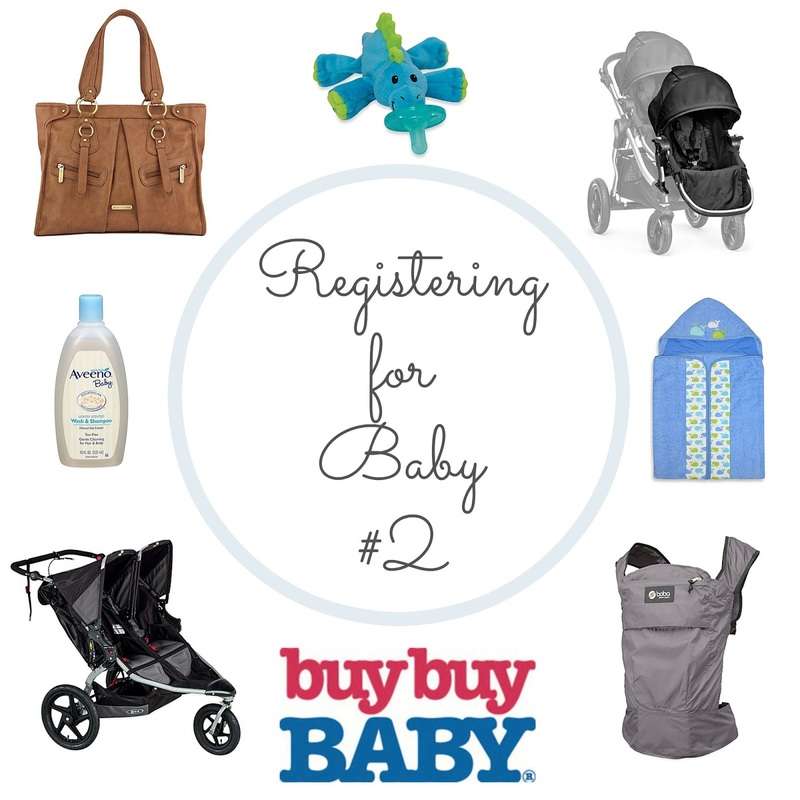 I can't believe buy buy baby has a registry for baby #2 – but I guess I'm not surprised! I like your strategy of reusing old stuff and upgrading where necessary. And congrats! A carrier and new car seat were on the top of my list for #2, but I didn't bother to register, or take anyone up on the offer to host a shower. Instead, I focused more on planning for the birth experience that I wanted. The BOB double is the best. You have everything covered. I made sure to have a rock and play, bouncer or swing in all main areas so I would have somewhere to put Luke when Avery needed my attention immediately. She was potty training right after he was born, so I often had to put him down on a whim to tend to her needs. I love Buy Buy Baby. 🙂 By the way, I nominated you for the Brotherhood of the World blogger award. 🙂 I posted the details on my blog. http://www.mrsmedschool.blogspot.com.